There are 12 companies are trading under Foods and Allied industry in Bangladesh Capital Market. So there are 12 companies and it is too hard to find out the best company to invest your money. 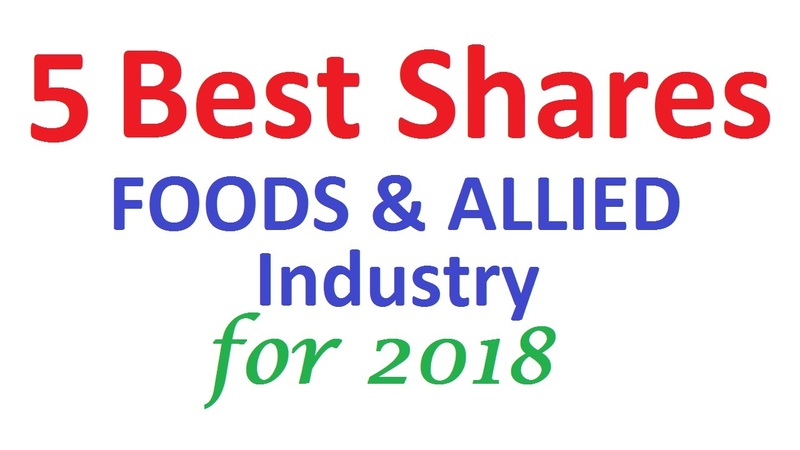 In this case, we have a short list of 5 best shares in foods and allied industry in Bangladesh. Hope it will help you. Apex foods limited is one of the best stocks in Bangladesh for 2018. It is not only good company in foods and allied industry but also overall the market. At the present time, Apex Foods Ltd is in A Category while they have 5,702,400 securities only. Their last year (2017) Range was 131.00 Taka to 170.00 Taka. Our prediction for Apex Foods at the End of 2018: 192.00 Taka per Share. We put GHAIL in the second position on this list. GHAIL is a full of a combination of the sponsor, Institute, and Public stockholder. GHAIL also have 1.60% stockholder are from foreign countries. At the recent time, GHAIL is in A Category while they have 99,099,000 securities. Their last year (2017) range was 37.10 Taka to 58.00 Taka. Our prediction for GHAIL at the End of 2018: 63.00 Taka per Share. NTC is one of the premium and profitable stocks. With 6,600,000 securities the NTC is playing a very vital role in the investor mind. Our prediction for NTC at the End of 2018: 910.00 Taka per Share. At the number four, we want to keep the RDFOOD ltd as one of the best shares in foods and allied industry. The RDFOOD is the combination of Sponsor, Public and institute stockholder. PRAN is one of the oldest stocks in the capital market of Bangladesh. With 8,000,000 securities the company is one of leading company while their last year (2017) price range was 202 to 244 Taka. Please note that this is only our opinion and prediction. No responsibility is taken by Business Daily 24 for the accuracy of this data.